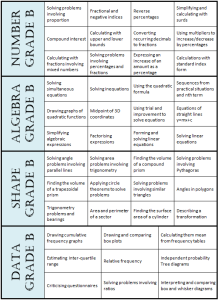 GCSE Revision mats - MathedUp! It’s that time of year again where we are in the thick of GCSE revision lessons. 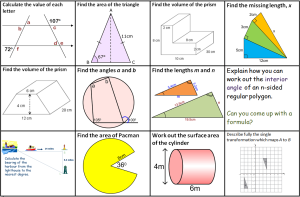 Some of this time, quite rightly, should be dedicated to exam paper practice but I find that the repetitiveness of this often leads to stale lessons and it is difficult to monitor how much progress students are actually making. 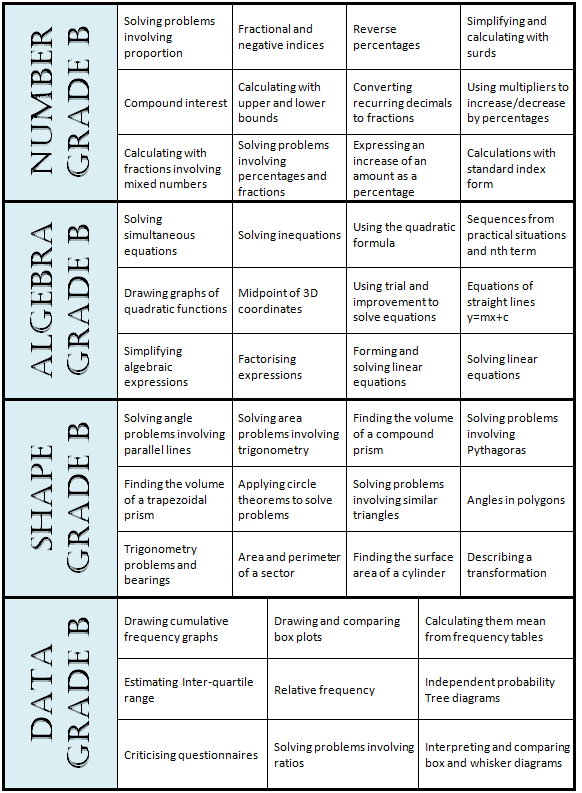 My current group of brilliant, hard working, year 11s are quite mixed ability with some students who are working towards securing a C grade and others aiming for Bs, As and A*s. I have put together a set of graded revision mats (with a bit of help from @climbingjack and @zebfriedman) that cover most areas of GCSE mathematics from F to A* grade. I have had these printed back to back on A3 paper and laminated and are being shared across the department. 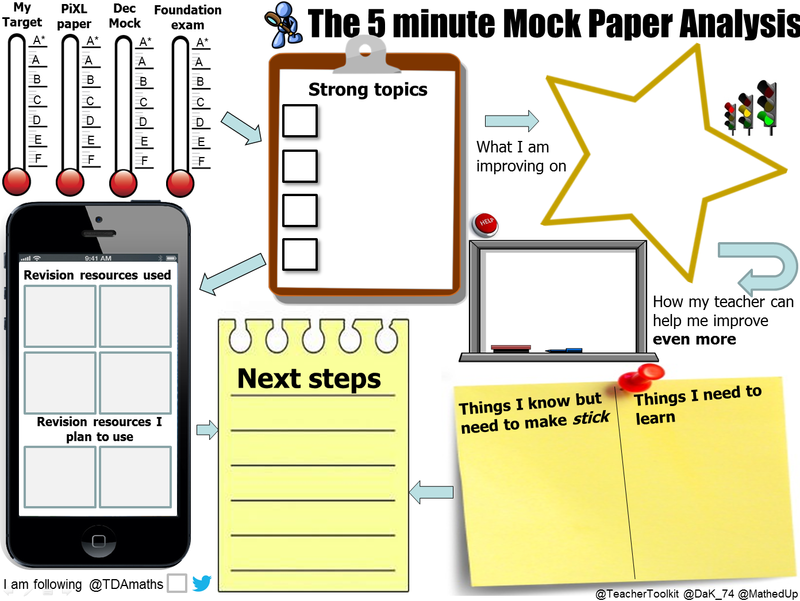 The format of these allow for a flexible resource so they can be adapted to how best they suit your students. I have been using them alongside the record sheets by getting students to attempt the questions and shade in green any that they are able to complete unassisted and orange if they required some assistance. Putting sets of textbooks in the middle of tables has helped encouraged them to be independent when needing help (I knew those textbooks would come in handy at some point!). The mats have allowed me to differentiate so that students are able to work at their own level and follow their own revision pathway. It is also clear to them which areas they need to go away and work on further. They have been received well on Twitter and it seems they are going down well with students up and down the country (see comments below).. 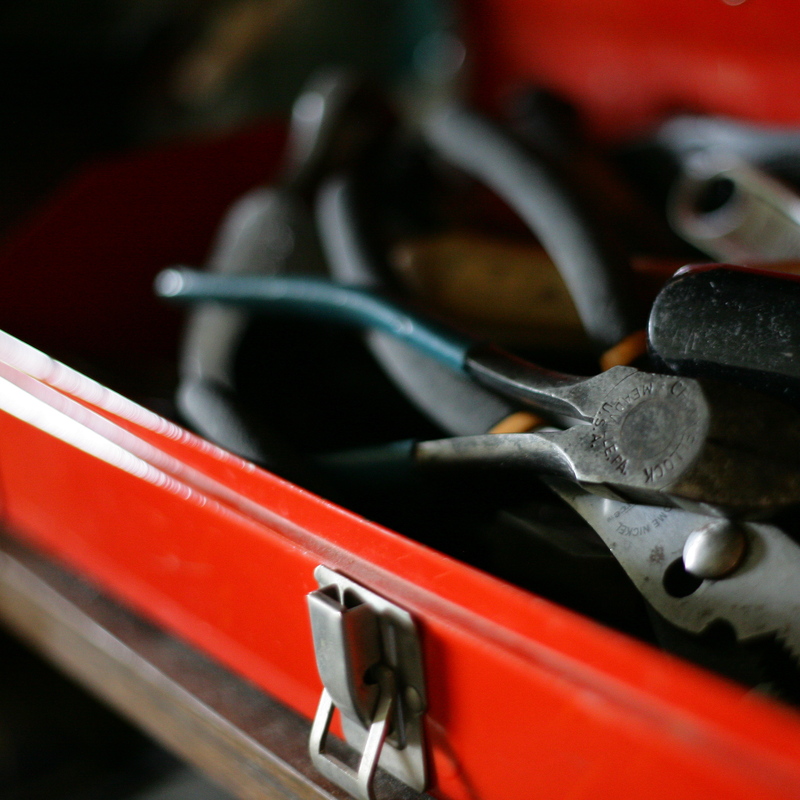 Please share any ideas on how you have been using them in your department in the comment section. Click here to access all the mats and recording sheets. Edit 31/10/2014: The fantastic Danielle aka @MissBsResources has used the revision mats in a really creative way by developing them into “Passports 4 Success“. I will definitely be using these with my students! Head over to her fabulous website for details and for other inspiring ideas. 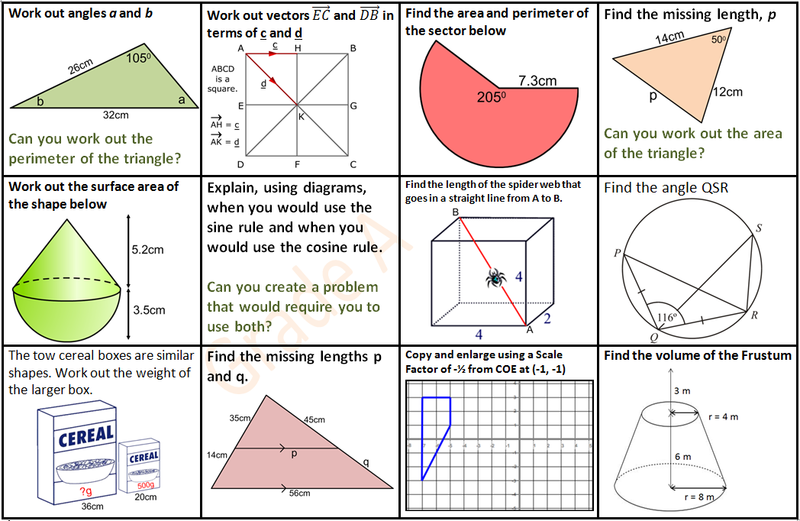 The maths revision mats from @MathedUp and @climbingjack will be perfect for registration boosters. 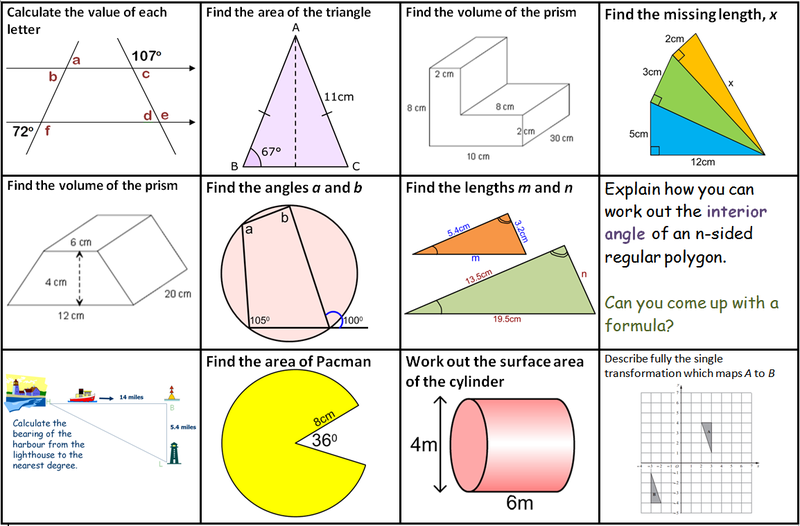 This entry was posted in GCSE, Revision. Bookmark the permalink.